Hotel Eastlund has received media coverage across the Pacific Northwest and beyond. Read some of our favorite features and learn what experts have to say about Hotel Eastlund’s modern accommodations and stylish allure. Members of the media are encouraged to download our press release for a general overview of our team and offerings. If you require more information, please email our media contact at PR@HotelEastlund.com. We also encourage you to sign up for our informative newsletter. Thank you for your interest in Hotel Eastlund! 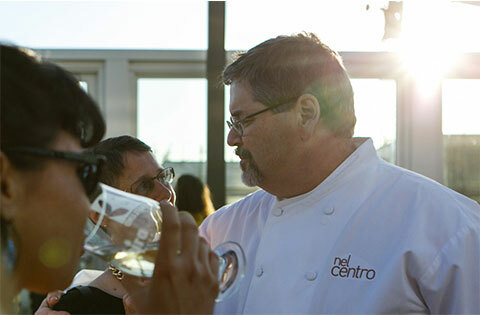 Real Food Traveler writer Elizabeth Rose covers the delicious thrill of rooftop dining at Altabira City Tavern. She also discovers the quaint eatery Citizen Baker. Both restaurants are located in Hotel Eastlund on the Eastside of downtown Portland, OR. Check out the photo gallery that was published by The Oregonian’s Eliot Njus on OregonLive.com. Our mid-week Grand Opening Gala event was a huge success, drawing media folks from around the region. Join us soon and see what the fuss is about at Hotel Eastlund. 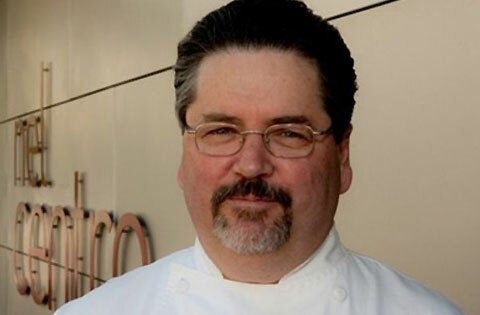 For three decades, chef David Machado has built restaurants that strike a balance between a home for travelers and a destination for locals. 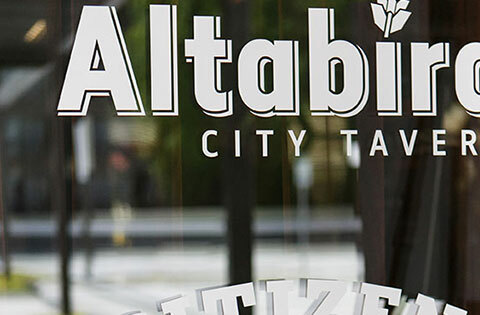 His latest salvo is the sky-high restaurant Altabira City Tavern and quaint Citizen Baker cafe at Hotel Eastlund by the Oregon Convention Center. Portland art consultants installed art from around the world at Hotel Eastlund. Studio Art Direct handpicked the regional and international artists behind the distinctive art collection at Portland’s hottest new hotel. 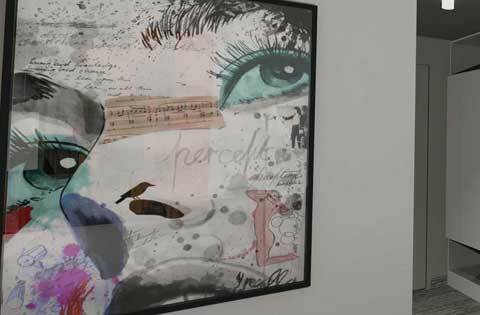 Read a detailed description by Studio Art Direct president Janelle Baglien. 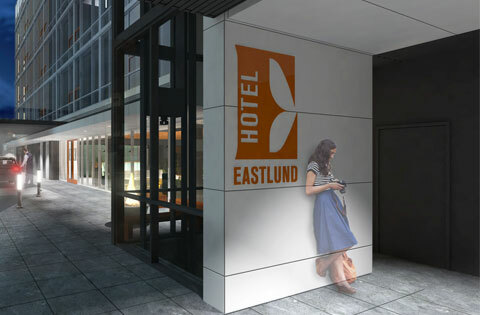 Hotel Eastlund was recently featured on Portland’s KGW.com as an integral part of the “Changing Face of the Lloyd District.” Watch the video to see the centerpiece of downtown Portland’s Eastside during construction. Hotel Eastlund is open for business this June. 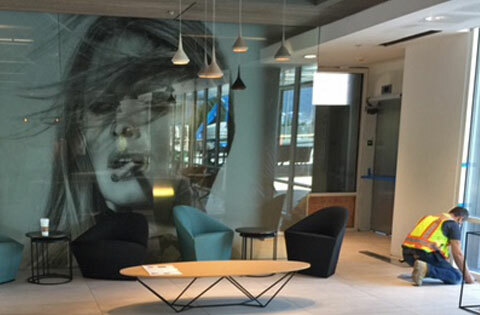 In May 2015, the highly anticipated Hotel Eastlund will open its doors for the first time. Here is an insider’s look at the space in progress. The view featured in this article is from the interior of Altabira City Tavern, which will be launched by acclaimed Portland chef and restaurateur David Machado, once Hotel Eastlund is open. 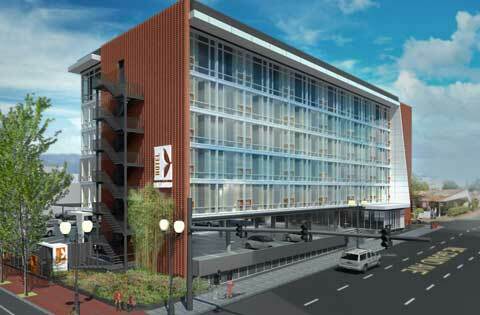 A brand new destination in downtown Portland’s growing Eastside. 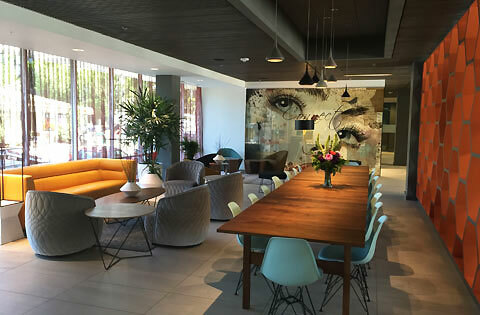 Hotel Eastlund is the $10M centerpiece of this fast-developing neighborhood, targeting business travelers, leisure guests, urban adventurers and Oregon Convention Center attendees. Relax in Northwest luxury at Hotel Eastlund. Hotel Eastlund is not your cookie-cutter chain hotel. 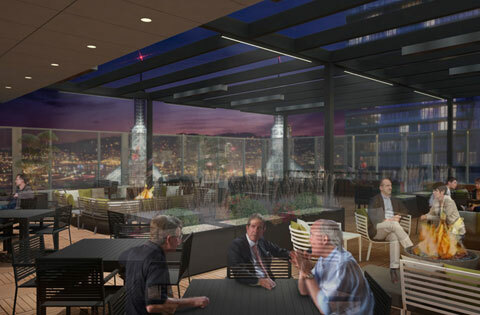 The folks behind the contemporary, boutique hotel near the Oregon Convention Center understand that Portland is unique and they want their hotel to model that theme, including eye-catching art and design and a rooftop restaurant with amazing views. Check out the video and gallery. 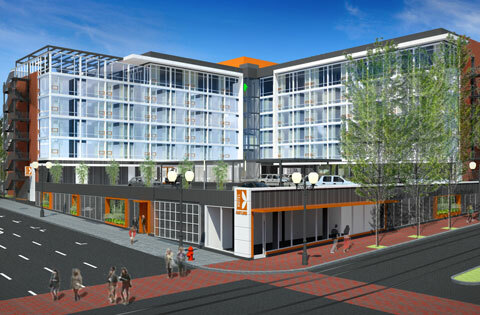 Seattle-based Grand Ventures Hotel LLC is heading into the final stretch of the massive renovation that gutted the old Red Lion in downtown Portland’s Eastside to make way for the Hotel Eastlund. The new luxury boutique hotel in the Lloyd District opens in May 2015, with 168 rooms and suites, a ballroom and other flexible event spaces.